Students can interact with digital math tasks in different locations, on different devices, and for different purposes. What kinds of questions do students encounter when interacting with digital math tasks? And why might the kinds of questions matter? We designed digital math tasks to provide opportunities for students to engage in math reasoning. Questions are a key component of the tasks. With our questions, our goal was to do more than solicit students’ answers. We intended to elicit students’ reasoning. We share a digital math task and a question from the task. Then we provide three design principles guiding our questions. We developed the The Toy Car task in collaboration with Dan Meyer and the Desmos team. The task begins with a video of a toy car moving along a curved path (Figure 1). Then students investigate and graph relationships between a toy car’s distance from a shrub, and its total distance traveled. The Toy Car task is part of a group of tasks that we call Techtivities. The Techtivities include video animations and dynamically linked, interactive graphs. Students have opportunities to sketch different graphs to represent the same relationship between attributes. Then students reflect on what those graphs represent. To learn more about the Techtivities, see Johnson (2018). In the Toy Car task, students sketch, then reflect on two different graphs, shown in Figure 2. Each graph represents the toy car’s total distance traveled as a function of the toy car’s distance from the shrub. Students might wonder how it is possible for two different looking graphs to represent the same function relationship. Furthermore, students might notice that the graph shown at right in Figure 2 does not pass the vertical line test, meaning that a vertical line would intersect the graph at more than one point. Students can apply the vertical line test based solely on the shape of a graph, and they may miss how graphs can represent relationships between attributes in a situation (Moore, Silverman, Paoletti, & LaForest, 2014). In the Toy Car task, and across the Techtivities, our goal was for students to focus on relationships between different attributes in the situations. We worked to design questions that could help us to achieve our goals. We purposefully posed this question as person’s (Val’s) claim, rather than as a claim devoid of human connection. Furthermore, we used precise language to clarify Val’s claim. In particular, we used the phrase as a function of, rather than the more general term, function. We did this so that Val’s claim focused on the function relationship that the graphs represented. Overall, we aimed to position Val as a capable doer of mathematics, who made a claim worthy of consideration. 1. Provide opportunities for students to consider other students’ claims. Mathematics is a human endeavor (Freudenthal, 1973). In our questions, we decided to have students respond to another student’s claim. 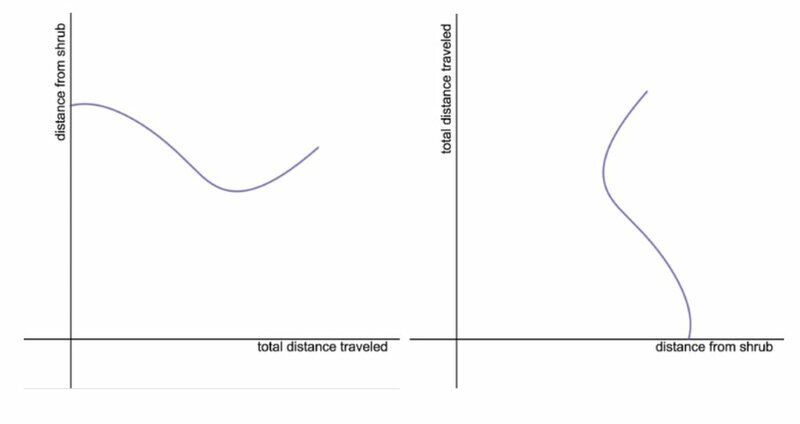 We could have asked students: Do both graphs represent the toy car’s total distance traveled as a function of the toy car’s distance from the shrub? By framing our questions as a response to another student, we aimed to humanize students’ interactions with the digital math tasks. 2. Allow for gender ambiguity when incorporating student names into task questions. Students can think that gender identity plays a role in mathematical ability (Boaler, 2002; Leyva, 2017; Rubel, 2016). In our questions, we aimed to use gender ambiguous names, and names we selected were often informal. We could have used a pronoun to assign a gender identity to Val, or selected a more gendered name. Instead, we intended to open possibilities for students to use a variety of pronouns, or no pronouns at all, when responding to the student claims given in the tasks. 3. Elicit sense making, rather than soliciting judgments of correct/incorrect. To promote students’ reasoning, we posed questions to elicit sense making rather than solicit judgments. We could have asked students if Val was right or wrong. Instead of asking students to judge another student’s claim as correct/incorrect, we chose to ask students to explain why they agreed or disagreed. We intended to offer students opportunities to consider possibilities, rather than rushing to judgments. Doing mathematics is so much more than finding answers. With our questions, we can work to create spaces for students to engage in reasoning and sense making. In designing questions for our digital math tasks, we are aiming to do just that. Acknowledgments. This work was supported by a grant from the National Science Foundation (DUE-1709903). Opinions, findings and conclusions are those of the authors. We thank Dan Meyer and the team at Desmos for their work with us. We are grateful to our colleagues who provided feedback to help us to grow. Boaler, J. (2002). Paying the price for “sugar and spice”: Shifting the analytical lens in equity research. Mathematical Thinking and Learning, 4(2-3), 127–144. Freudenthal, H. (1973). Mathematics as an educational task. Dordrecht: D. Reidel Publishing. Leyva, L. A. (2017). Unpacking the male superiority myth and masculinization of mathematics at the intersections: A review of research on gender in mathematics education. Journal for Research in Mathematics Education, 48(4), 397–452. Moore, K. C., Silverman, J., Paoletti, T., & LaForest, K. (2014). Breaking conventions to support quantitative reasoning. Mathematics Teacher Educator, 2(2), 141–157. Rubel, L. H. (2016). Speaking up and speaking out about gender in mathematics. The Mathematics Teacher, 109(6), 434–439. © Author(s). "From soliciting answers to eliciting reasoning: Questioning our questions in digital math tasks" is licensed under CC BY-NC 4.0.